A full time Real Estate Broker since 1976, Norm works as both a Listing Broker and Selling Broker in Pasadena, Altadena, Sierra Madre, Arcadia, Monrovia and San Gabriel Valley communities. He has had ownership in over forty local real estate property restoration projects and acts as his own general contractor. Because of his extensive experience in property rehabilitation Norm has developed a list of reliable tradesmen with proven abilities. When his clients need repair work, he is happy to give them the proper names and telephone numbers. Norm has been a resident of Pasadena and Altadena for over 50 years. Prior to entering real estate Norm attended Pasadena City College and graduated from the University of Southern California with a degree in Business Finance and Economics. As an active member of the real estate community, Norm serves on the Board of Directors of the Pasadena Foothills Association of Realtors and as a Presiding Hearing Officer for Interboard Arbitration and Ethics hearings and Directors Review Hearings for the California Association of Realtors and the Pasadena Foothills Association of Realtors. When not selling real estate, he enjoys fishing, photography restoring antiques and volunteering over 250 hours a year to the Pasadena Tournament of Roses Association. 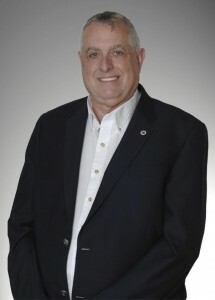 Norm is a full time broker with over thirty years of experience. He almost always answers his telephone personally and you will always deal directly with him; there are no assistants, secretaries or floor people to confuse information and issues. His commitment to his clients and their goals, along with strong negotiation skills and a love of real estate have led to a long list of satisfied customers along with a strong source of referrals and repeat business. Norm has served on the Pasadena-Foothills Association of Realtors Board of Directors and several committees including: Professional Standards, Strategic Planning, MLS, I-TEC, Computer Technology, Budget & Finance, 2006 & 2007 Association Treasure and is a member of the Arcadia Association of Realtors Mediation Workshop and Professional Standards Committee. Norm is a 2007 California Association of RealtorsProfessional Standards Regional Representative and a member of the Association for Conflict Resolution.